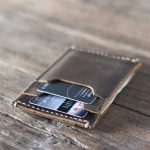 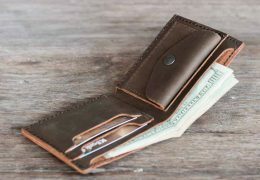 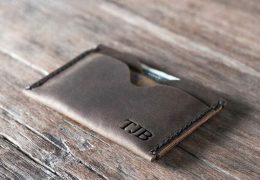 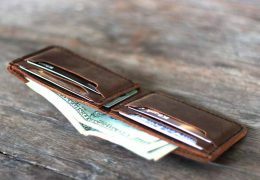 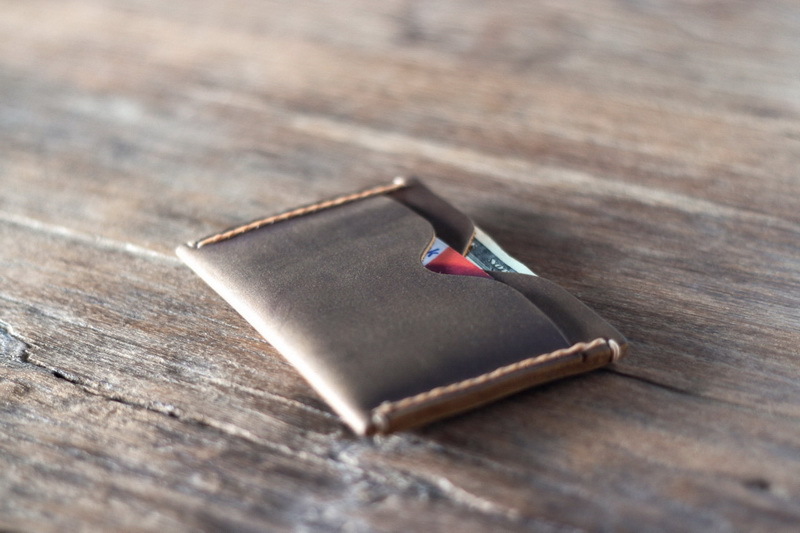 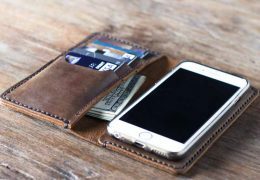 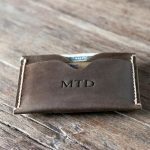 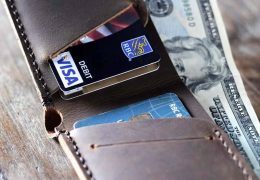 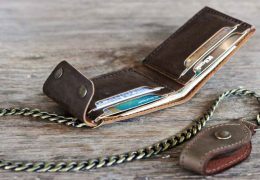 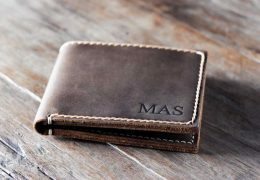 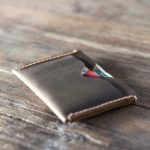 The minimalist product we are offering is a fully grained handmade personalized men’s slim wallet that will allow you to serve yourself pizzazz in a silver platter. 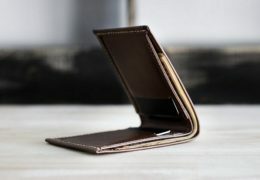 The fact that it is slim, chic and trendy is a charm per se. It sports 2 vertical card pockets. 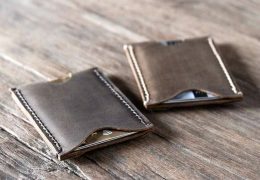 1 horizontal card pocket has also been provided. 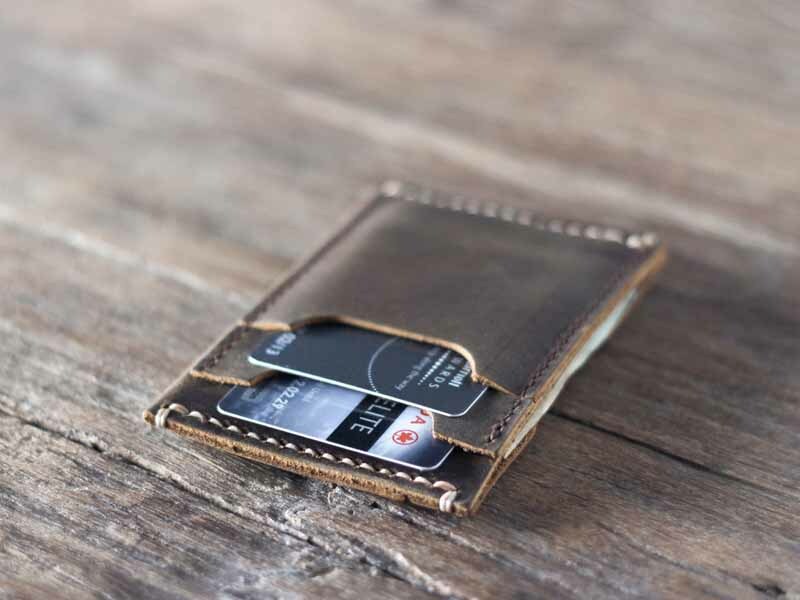 Both these slots can be used for numerous credit cards. 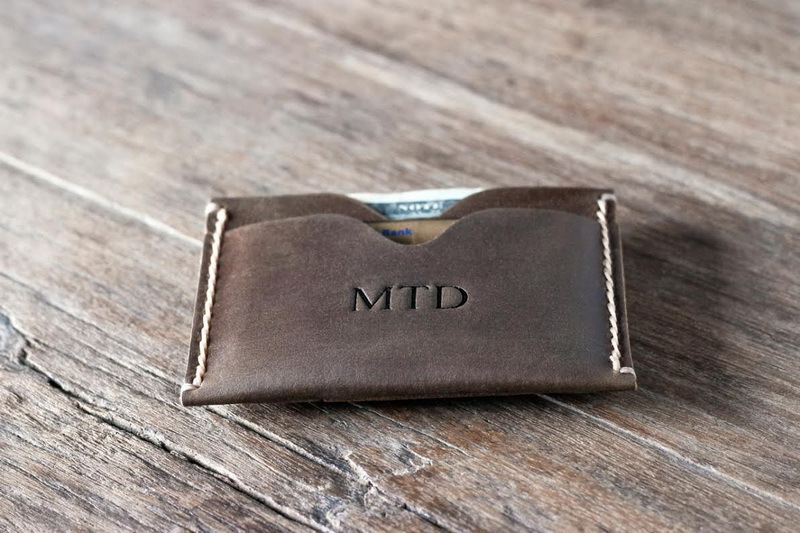 You can also use it for business cards if you deal with them a lot. 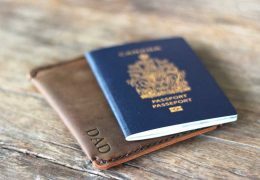 Papers and notes can be placed as per your preference. 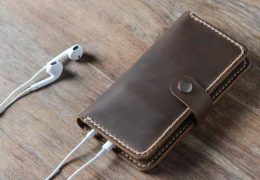 It has been handmade with distressed leather which is of top-grade quality. 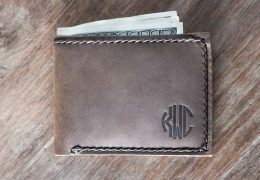 Hand stitched signature is another feature that it packs in. 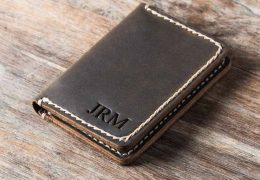 Engraving your initials on the slim front pocket wallet is a piece of cake. 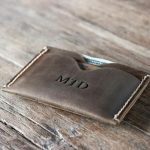 All you have to do is send your preferred initials whilst making the order and we will take care of it. 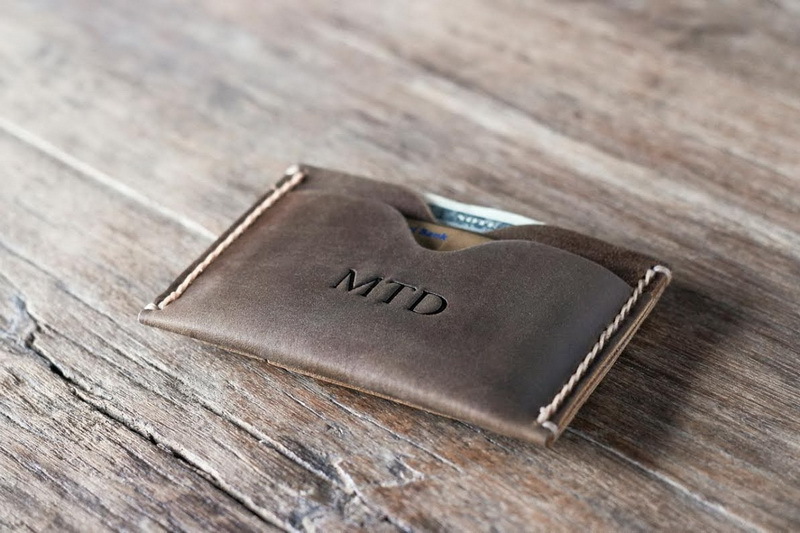 Also, if you do not wish initials on it rather a monogram or a logo, you can get that engraved instead. 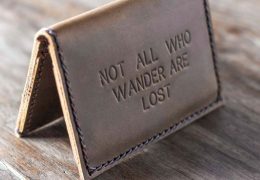 A quote can also be etched. 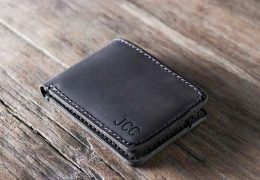 However, only 10 characters are allowed. 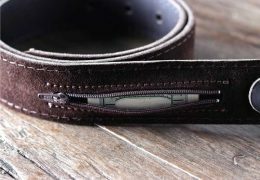 Threads hand stitched on the product are available in two different tones namely dark and natural tan. 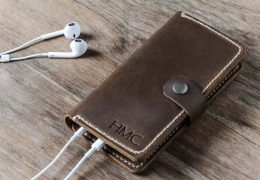 Leather used in the making of this product is highly durable. 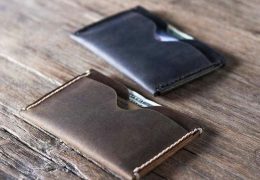 The fact that makes it so is its aniline finishing that provides it a weathered look which actually is considered cool in the fashion industry. 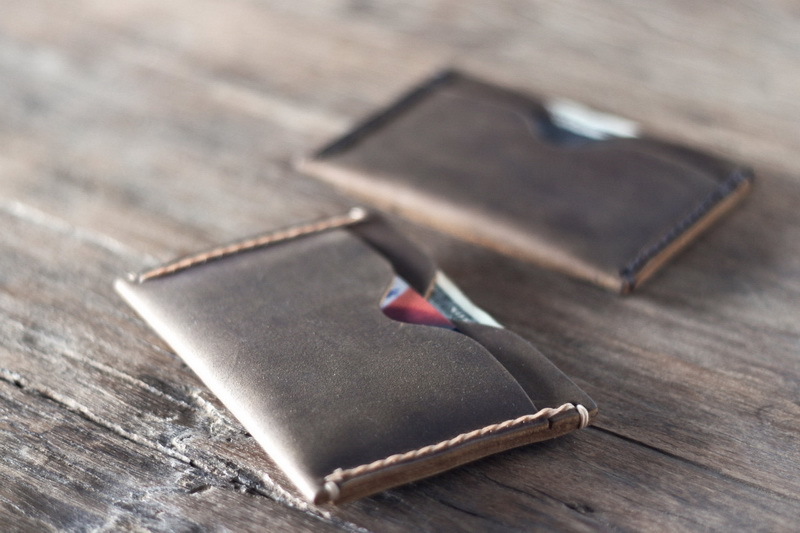 So even when the product ages, it still retains its charm, in fact becomes even more appealing. 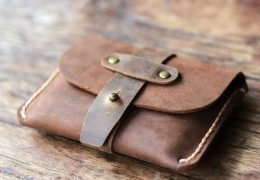 The accessory preserves all the marks and stains that originally donned the cowhide and with time makes it look better. 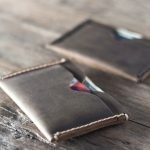 Also, distressing makes the leather develop scuffs. 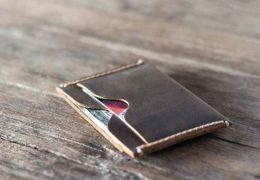 Unwanted ones can be removed using oil.